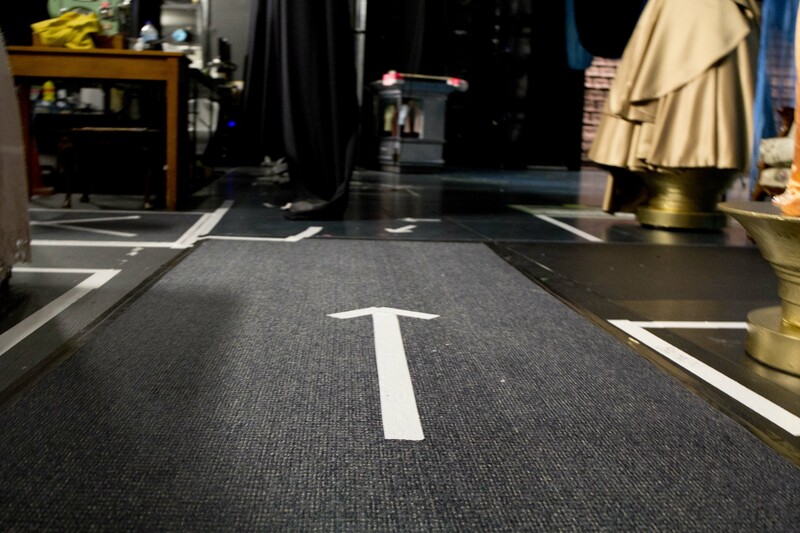 Here at MTC our stage managers have backstage running like a well-oiled machine. 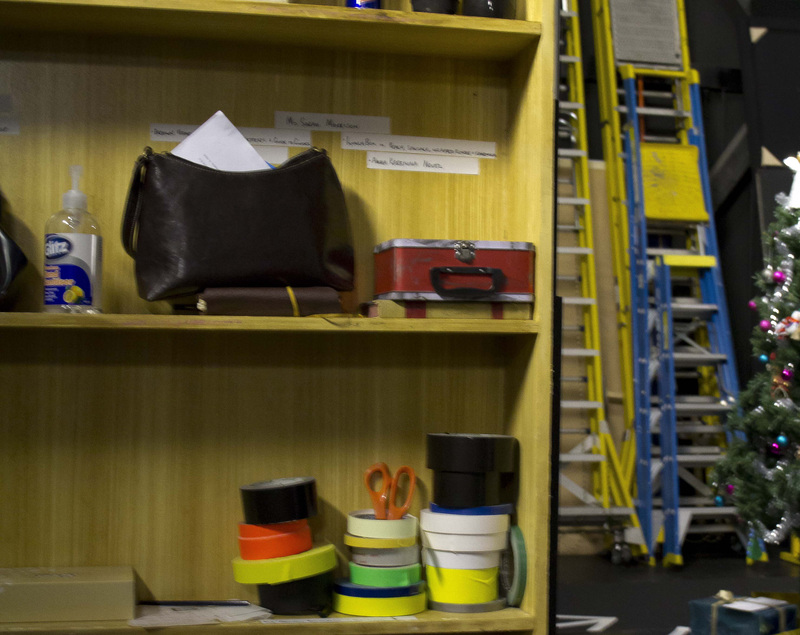 We went behind the scenes at Southbank Theatre in order to get some tips and tricks from the team working on our production of Ladies in Black at the Sumner. 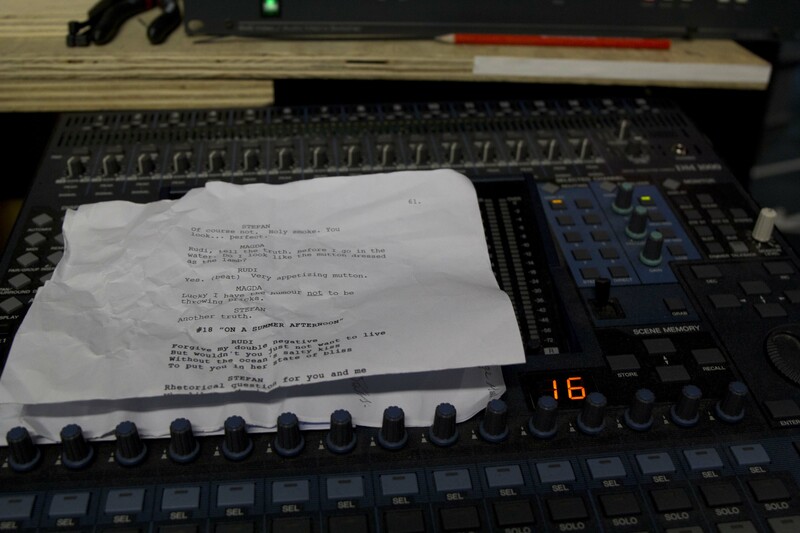 Stage managers and lighting & sound operators should have a script handy so that they can follow along with the action on-stage. 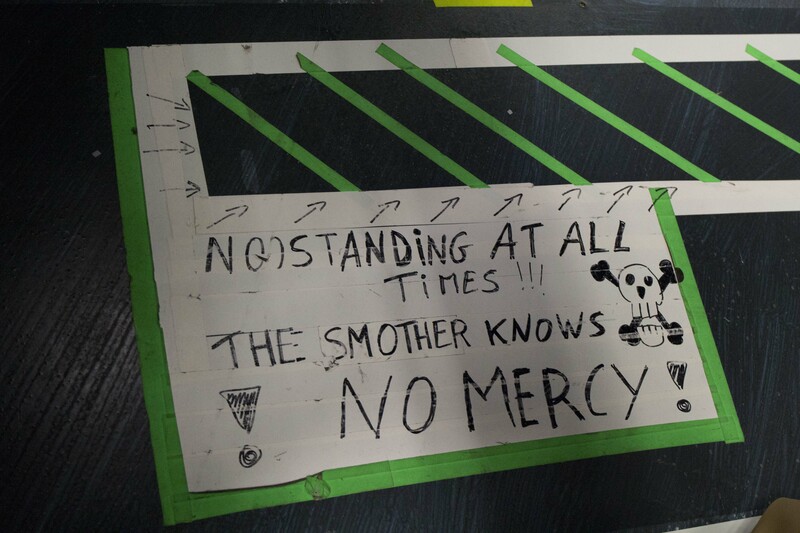 You can lay down carpets backstage so that footsteps are muffled. 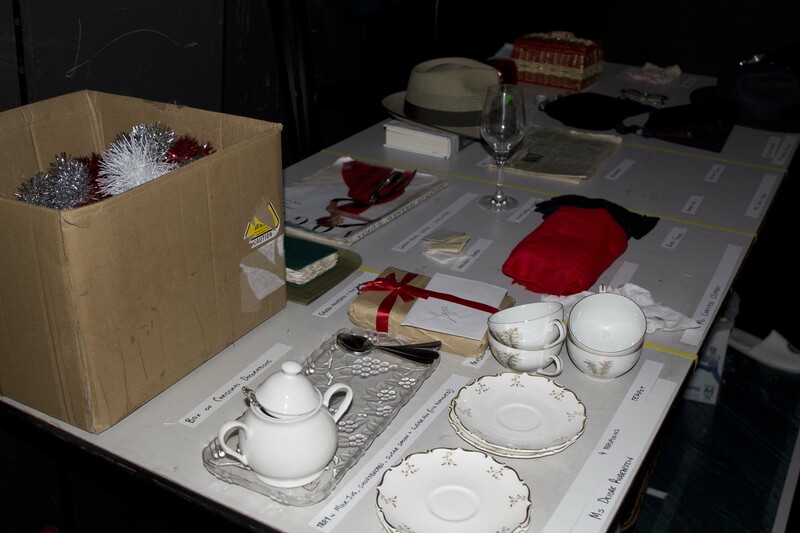 Check out how clearly labelled these props tables are! Everything has its place so essential props can be easily located before an entrance. The stage manager checks everything has been pre-set before the curtain goes up. Always have plenty of tape or scissors or repair materials handy. 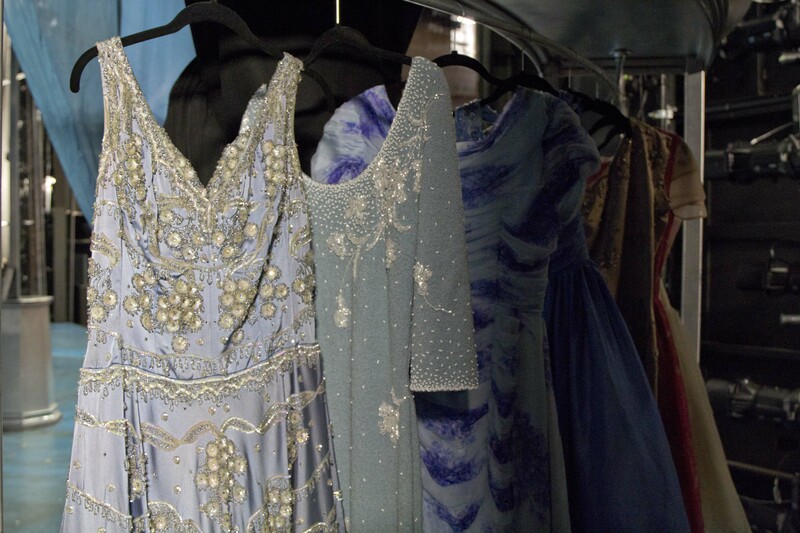 You never know when you’ll need it – we often need to do minor repairs to costumes during a show! Make sure you stack any large props so they are out of the way and don’t pose any danger to those walking around backstage. Hang up your costumes on a rack if you have a few of them. It will keep them clean and organised. 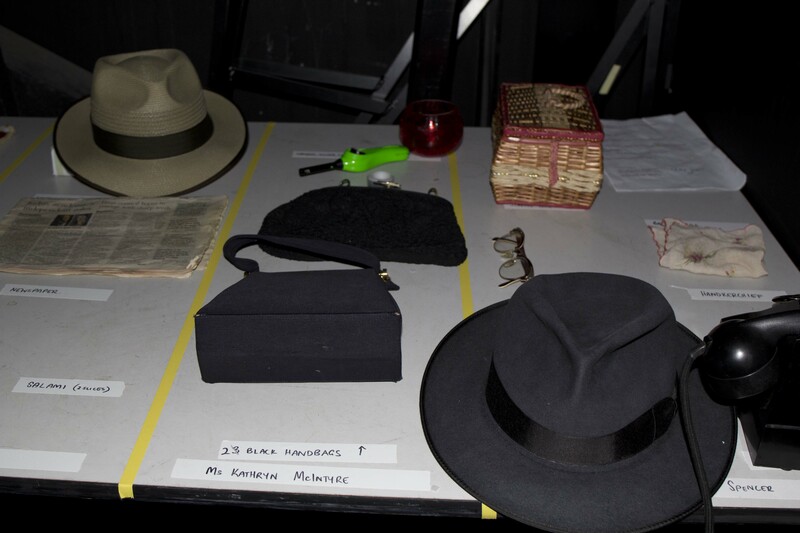 There are some very fast costume changes in Ladies in Black! 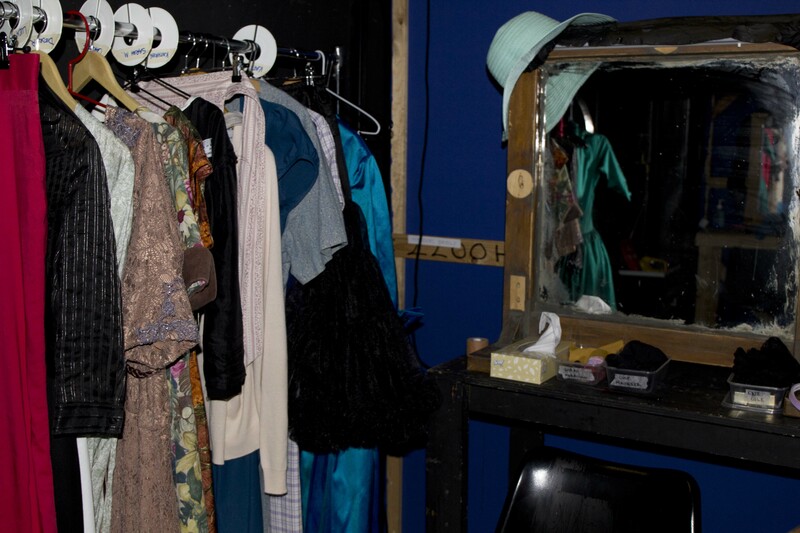 If there are some quick costume changes in your show too, throw up a curtain and create your own side stage change room. 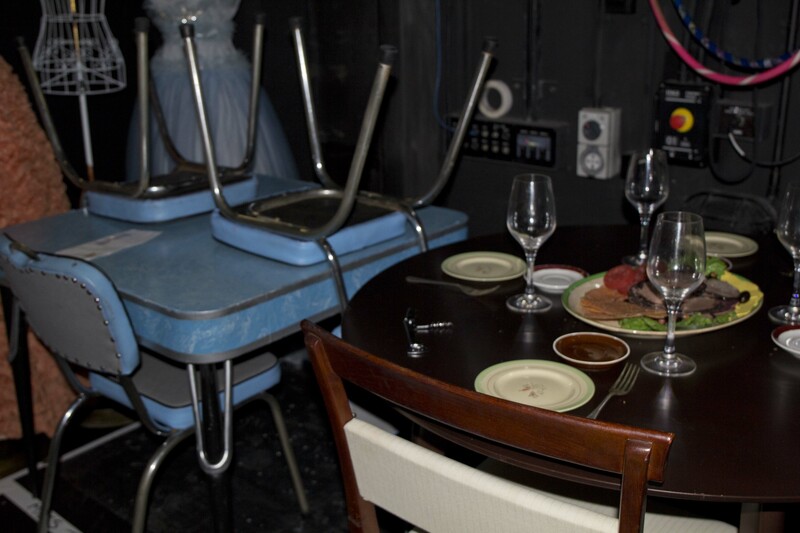 Ladies in Black has many moving set pieces. Always make sure you have clear signage for both OH&S and so that everyone knows where to go. To stay in the loop about all things education at MTC, visit our Student Hub on Facebook.